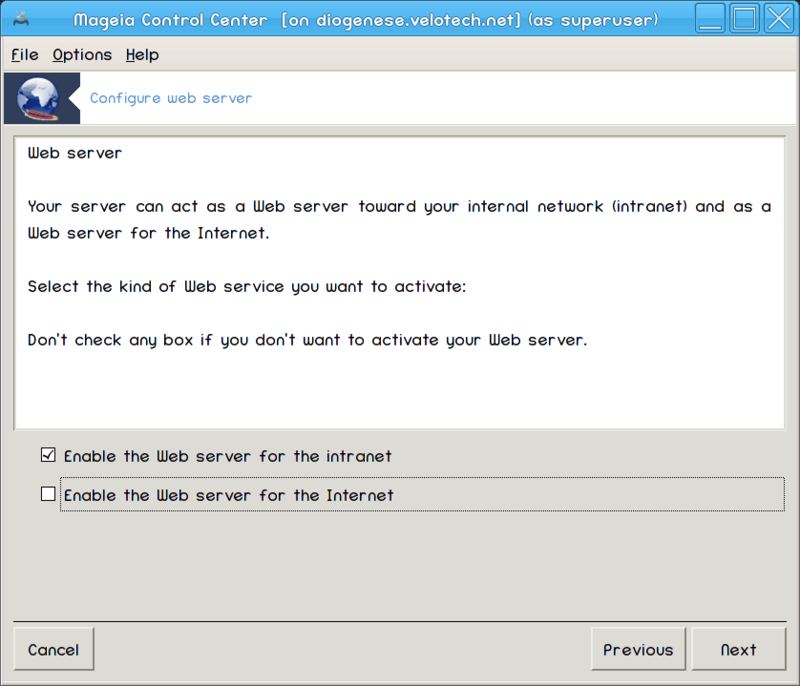 This tool can help you to set up a web server. Welcome to the web server wizard. The first page is just an introduction, click Next. 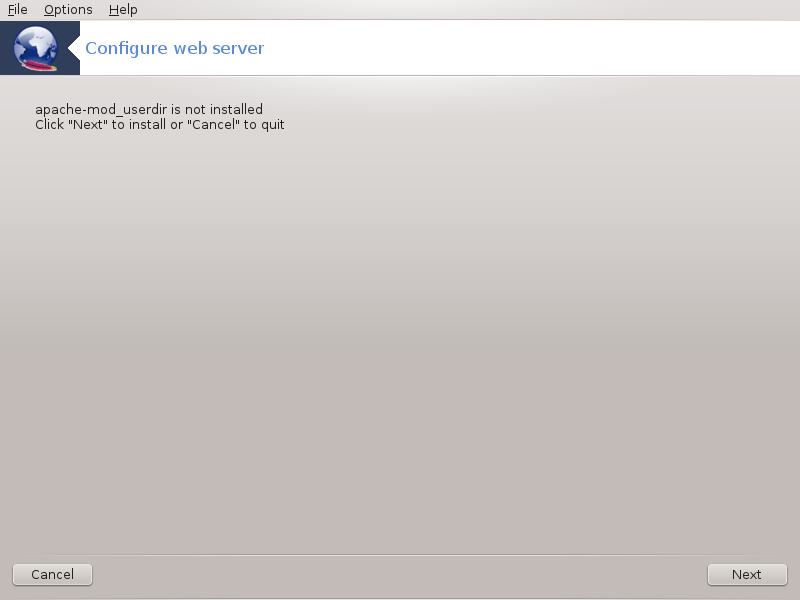 Exposing the web server to the Internet has it's risks. Be ready for bad things. Allows users to create their own sites. 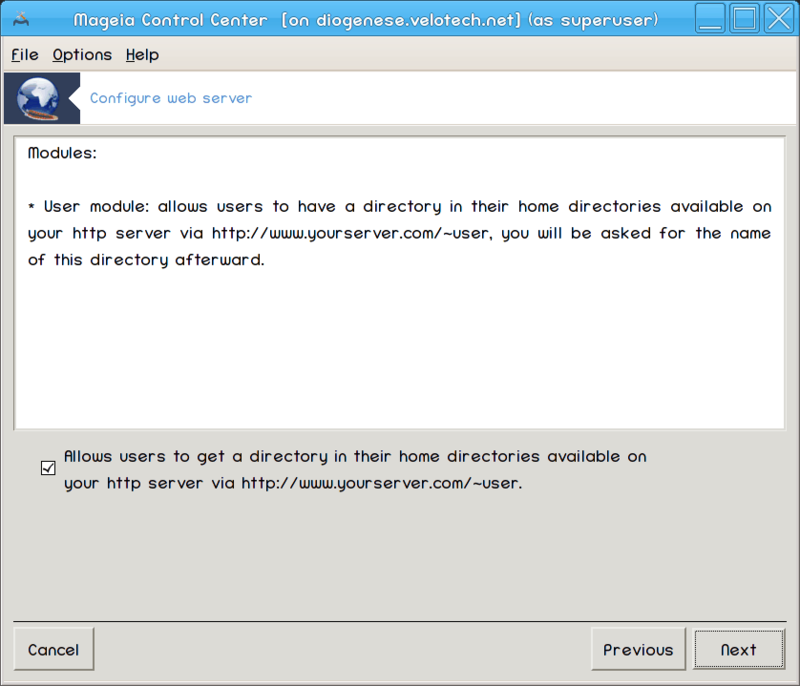 The user needs to create and populate this directory, then the server will display it. 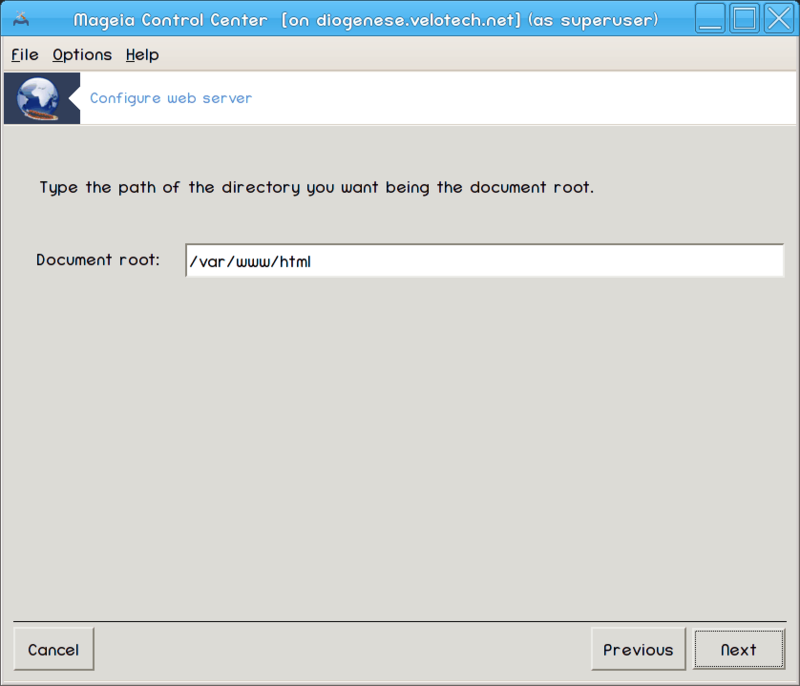 Allows you to configure the path to the web servers default documents. Take a second to check these options, then click Next. 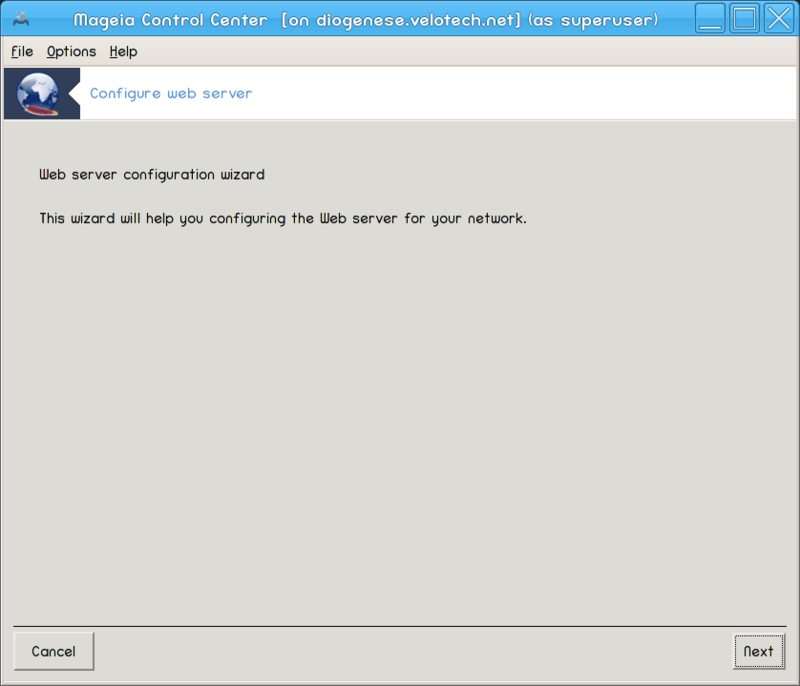 You can start this tool from the command line, by typing drakwizard apache2 as root.